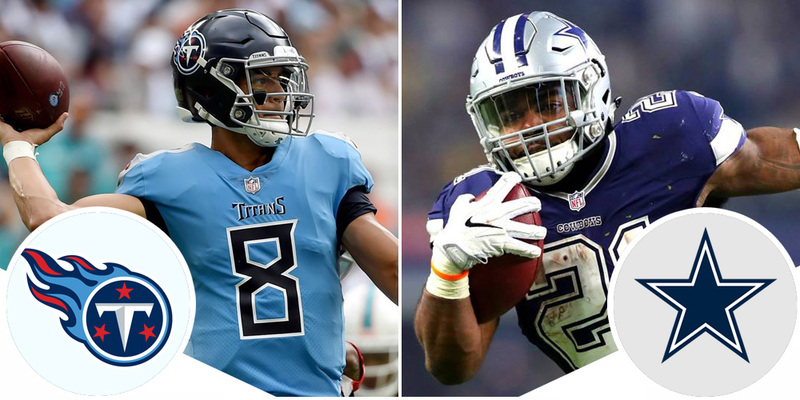 The Dallas Cowboys and Tennessee Titans meet in week 9 Monday Night Football action with both teams having endured mirrored seasons to this point. Both are a disappointing 3-4 and are coming off a bye week fresh and looking to get things going in the second half of the year. Playing in different conferences limits the opportunities these franchises get to face off against each other. This will be the 15th such encounter, with Dallas winning eight of the previous 14, including the last confrontation back in 2014. The storyline of this game is all about the addition of Amari Cooper, who is making his Dallas Cowboys debut, providing a far more enticing affair than it was shaping up to be a week or so ago. The Titans have had a roller-coaster season leading up to the bye week. They dropped their first game of the season to Miami, in what was the longest NFL game in recorded history thanks to Hurricane Ivan. Following that, the team got rolling with a three-game winning streak including upsets over Jacksonville and World Champion Philadelphia Eagles. However, Tennessee has since balanced that streak out with a three-game losing one, including a horror outing against Buffalo, to take them into the week off and then this road game. Tennessee boasts the 9th best passing defense in the NFL, which aligns perfectly with the squad lining up on the other side of the ball. I’ll touch on it more a bit later on, but the Cowboys passing game is one of the worst. While the Titans have allowed opposing teams to average 226 pass yards each week, it’s actually 40 yards more than what Dak and co. are averaging. Even in losses over their last three weeks, the Titans have kept the Chargers to 297 passing yards, the Ravens to 231 yards and the Bills had just 79 pass yards. Yes, 79 total pass yards and still won. But that’s not the point here. The Titans have an extremely talented cornerback duo in Logan Ryan and Adoree Jackson, as well as ex-Pats CB Malcolm Butler and supporting them is one of the best safeties in the league, Kevin Byard. A, Dak isn’t exactly a gunslinger, so the Titans could add another scalp to their list. The Titans prized No. 2 pick from the 2015 NFL draft has thus far failed to live up to the initial hype. Mariota has his moments of brilliance but they’ve been few and far between. He suffered an elbow injury in week 1 that subsequently sidelined him for two weeks, and hasn’t proven that he has fully recovered since returning. The bye week will have been a welcomed relieve for Mariota as he continues to do just that and build strength in his throwing arm. Since his return in week 4, Mariota has one game of 300+ yards, one of 200+ and three more under 130 yards passing. For the season, he is averaging around 170 yards per game and has a three-to-five touchdown-to-interception ratio. For Titans fans, the hope is that the bye has given him the chance to fully heal and get into a rhythm with his teammates. Just like another two of their NFC East, the Dallas Cowboys made a move at the trade deadline to improve their team with the acquisition of wide receiver Amari Cooper from Oakland. They paid a huge price to get him though, handing over their 2019 first round draft pick. I imagine the moment was bittersweet for Cowboy Nation. They finally got a No. 1 wide receiver that Dak Prescott so desperately needed, but then over the next few days, Demaryius Thomas got traded to Houston for a fourth-round pick and their biggest rivals, the Philadelphia Eagles, snag Golden Tate for the price of a third rounder. Dallas will need some sort of debut from Amari to quiet the critics of the trade. For all the disappointment out of Dallas with their record, the disappointment has been just that; out of Dallas. The team remains undefeated at home in 2018, so having the equally struggling Titans visiting AT&T Stadium bodes well for the Cowboys to start the Amari Cooper era off on the right foot. Helping them achieve the goal will be Ezekiel Elliott. As bad as the Dallas Cowboys passing offense has been, the run game has been equal parts good. Dallas has the 4th most yards per game with 136.9. Zeke has accounted for 619 yards on the season, good for second in the NFL. Tennessee allow 112 yards per week on the ground, so there’s a very good chance that Zeke runs right over the top of them. The Cowboys gave up a lot to bring Cooper into Dallas but with very good reason. After showing Dez Bryant the door in the offseason, the passing game in Big D was virtually non-existent. To help fill the void, they signed Allen Hurns as a free agent and drafted Michael Gallup in the third round of the draft but their passing attack still ranks 29th in the league with just 183 yards per game, just above their opponents who rank 30th. Part of that is the receivers but part is also Dak Prescott. He’s been the barometer of the Dallas success in 2018. In wins, he’s been great with 199 yards per week, five touchdowns while keeping the ball safe. In losses, it’s been 205 yards a game with three scores against seven turnovers (four picks and three fumbles). If the Cowboys are to win here, they’ll need more Jekyll and less Hyde. You might be sick of me saying his name, but the key matchup in this one is Amari Cooper and the expectations that have come with his trade. He became expendable from Oakland thanks to a lackluster 22 catch, 280 yards, 1 touchdown season to date. Those sort of numbers are not worthy of a future first round pick. Cowboys fans will be expecting (read: hoping) for a return to the Amari Cooper of old. The one who broke onto the scene with a 1,000 yard rookie season. Who backed that up with 1,153 yards in his sophomore season. Who had seven touchdown catches last season, despite a down year in receiving yards. That’s the one who will make sense of the trade. As opposed to most recent Monday Night games, I’m expecting a dour, low-scoring match-up between two of the worst passing teams in the league. It won’t be pretty but the Cowboys boast a stronger side and should make their home record four wins from four games. All of the odds and prop bets I write about in this piece will be sourced from there. They have a bunch of great contests, bonus and NFL specials to sink your teeth into. If you haven’t before, check them out now. 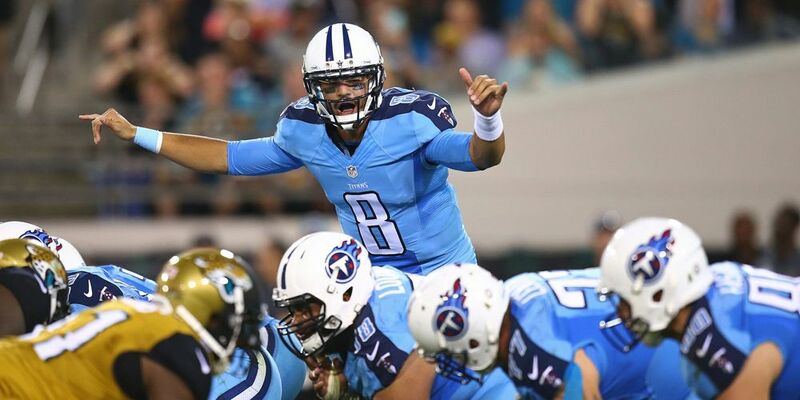 The Titans have gone 4-3 ATS in their games, which tells the story of their up and down year. Meanwhile, the Cowboys record against the spread matches their win-loss record at 3-4. But the home ground advantage swings this for me, where the Cowboys have performed superbly all season. The Titans on the road have just the one win, a 9-6 bore-fest against the Jaguars. The under has saluted on five of the seven occasions for both of these teams this year. The Titans are averaging 15 points per game on the road this year, and the Cowboys have allowed opponents to score 14.7 ppg in AT&T Stadium for their three wins. Dallas has put up 28 points per game including a 40 point clinic when the Jags came to town in week 6. Even with that game, they have averaged just 20 ppg in all seven appearances of 2018. I’m taking the under.